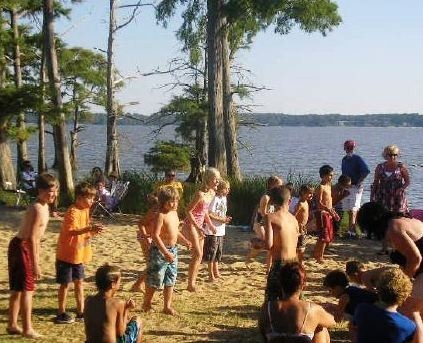 Greater First Colony is unique in the Williamsburg VA area in being a non-gated community with a marina on the James River, an interior lake, a competition-sized pool, swim team, lighted tennis courts, a fully equipped playground, and a baseball field. The only other communities with marinas in the Williamsburg area are Governors Land, Kingsmill and Queens Lake. Stonehouse is slated to have one on the York River but it’s a number of years away. The Greater First Colony Area consists of five adjacent neighborhoods subdivisions: First Colony, Heritage Landing, Shellbank, Shellbank Woods, and Chestnut Hills. Early in the 19th century, the area reverted to timberland, which was periodically logged. A timber-loading pier was constructed out into the James River just upstream from today’s beach. In 1955, the 18-lot Shellbank Subdivision was laid out along the river, extending downstream from Shellbank Creek to the beach. Shellbank, incidentally, is a geologist’s term for a Talbot terrace made up of marine deposits, including shells. The shell terraces were deposited before the last Ice Age. Presently, the James River is below that terrace level. In 1962, the First Colony subdivision was laid out by the First Land Corporation of Newport News. It has 276 lots, of which 108 are around Lake Pasbehegh, which was formed by damming a swamp. 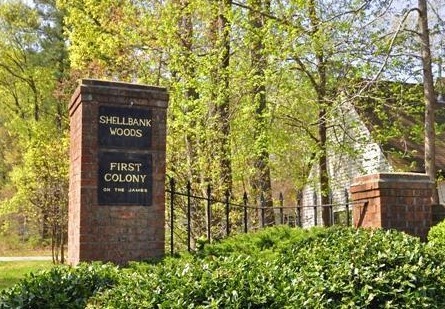 In 1978, the Shellbank Woods subdivision, containing 92 lots spread over 111 acres, was started on the land lying between First Colony and Shellbank Marsh. In 1986, the Heritage Landing subdivision was started on the land lying north of Shellbank Woods; it now contains 93 lots spread over 70 acres. The same year, Chestnut Hills was started off John Rolfe Lane. The population of our area has steadily grown; 57 houses in 1975, 192 in 1980, 242 in 1985 and 453 built and occupied in September 1991. There are currently 510 homeowners living in First Colony community with approximately 400 households participating as members of this self-managed, voluntary association. The First Colony Civic Association was incorporated in the State of Virginia on January 31, 1967. In 1978, it acquired title from the First Land Corporation to the approximately 50 acres of recreational property including the beach and boat basin, Lake Pasbehegh and the Park. In 1988 it was renamed the Greater First Colony Area Civic Association to encompass all five subdivisions in our area. 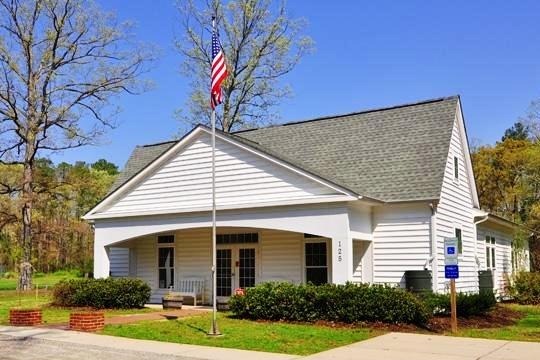 The Civic Association is now responsible for the development and maintenance of the physical facilities of First Colony, including the recreational areas, roadways and night lights at the beach and park. The Association also promotes the social atmosphere of First Colony with picnics, dances, children’s parties and athletic events. It also is the formal contact with local government and other community groups. Being an older neighborhood, the time had come for some new energy and effort to be poured into grounds and equipment of the First Colony Park and its Marina area. Hundreds of volunteers dedicated many hours to planning and fund-raising hour to bring new life and beauty to this wonderful community ! 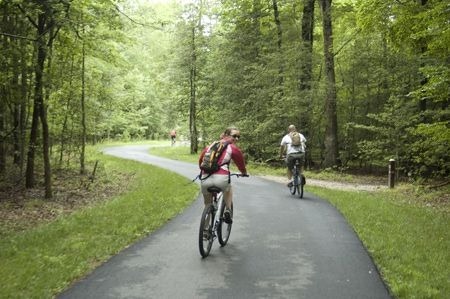 Association members have access to the park, lake, tennis courts, baseball diamond, the beach, and marina. They also receive free admission to several community-sponsored events annually. Additional charges are incurred for the pool, boat launching, parking, and docking. The Association sponsors events and activities for its members throughout the year. Several of these events are free to members. 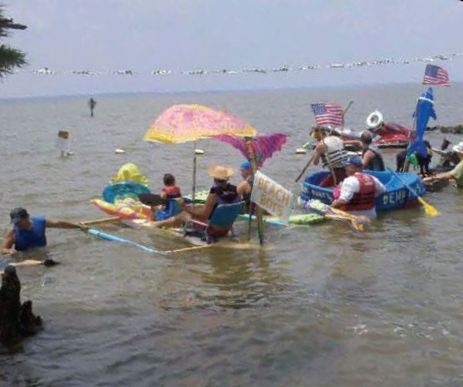 Events thru the year include Memorial Day Party, 4th of July party, Labor Day ,Oktoberfest , Thanksgiving Breakfast, Christmas Caroling , The Fool’s Regatta and the annual First Colony Polar Plunge. Attendance at the last Memorial Weekend Sunday picnic was a wonderful affair, enjoyed by close to 300 folks. The Clubhouse is available for resident and non-resident functions.This beautiful, spacious and affordable facility features high ceilings, patio, deck, full kitchen, seating for up to 150 people, ample parking and a beautiful view of the park. The Clubhouse is located at 125 Pasbehegh, adjacent to the playground, pavilion and pool. The First Colony Beach and Marina are located on the James River, which borders First Colony on the west. The beach and marina facilities are only available to current, paid members. 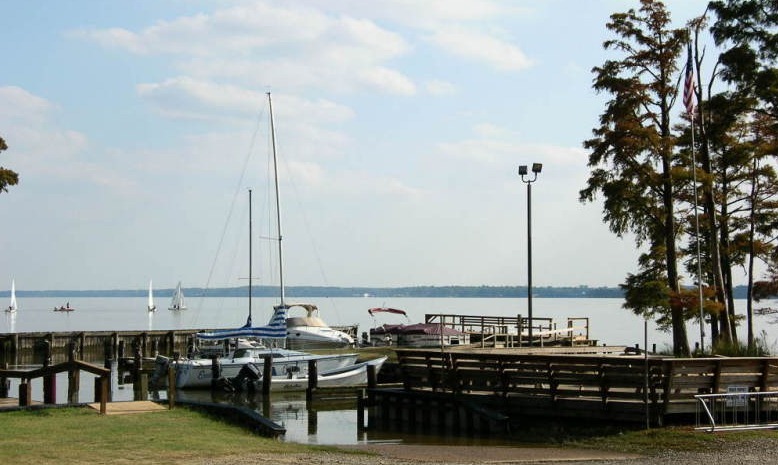 The marina offers boat slips, boat parking, boat launching, a large fishing deck, a gazebo, and a sand beach. The marina was dredged in 2003, and was completely refurbished in 2004. 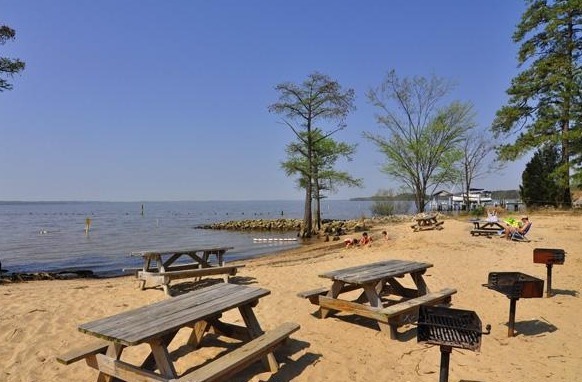 The beach comes with beautiful views of the James River, historic Jamestowne, and awesome sunsets for enjoying with family, friends, and neighbors. The gazebo at the beach is available for private parties for up to 50 people with prior reservations. First Colony Park ( for members only) is located midway between The Maine and John Rolfe on Pasbehegh. 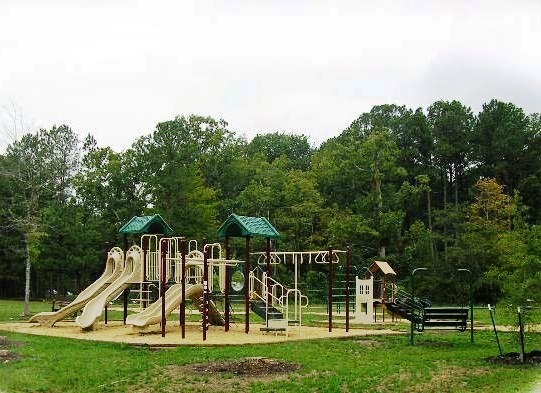 The park boasts a playground for youngsters, a full size baseball field with backstop, lighted basketball and tennis courts and a picnic pavilion with numerous picnic tables and a charcoal grill. The competition-sized pool is adjacent to the park. 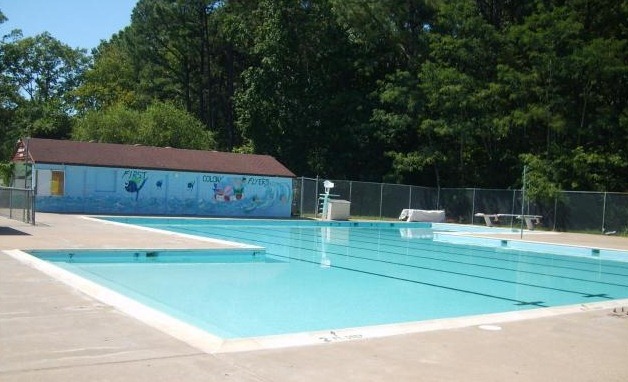 The First Colony pool is a 25 meter, competition-sized pool, with a shallow area, lap lane, diving well with 2 low boards, and a separate baby pool. Two canopies provide shaded areas to go along with the plentiful area for sunning. There are rest rooms and a snack bar in the adjoining pool house. The First Colony swim team ( The Flyers) is open to resident and non-resident children aged 5 through 18.The goal of the team is to develop good swimmers and an enjoyment of the sport in a safe and encouraging setting. Their coaching staff is one of the strongest in the area, with more coaches per swimmer than other teams. The Flyers compete in Division I of the VPSU league. For the 2010 Season Coach Joey Peterson ( an ex Kingswood Klam and stepson of Kingswood Coach Harold Baker) guided the First Colony Flyers to its first-ever summer championship — edging Baker and Kingswood for the crown. 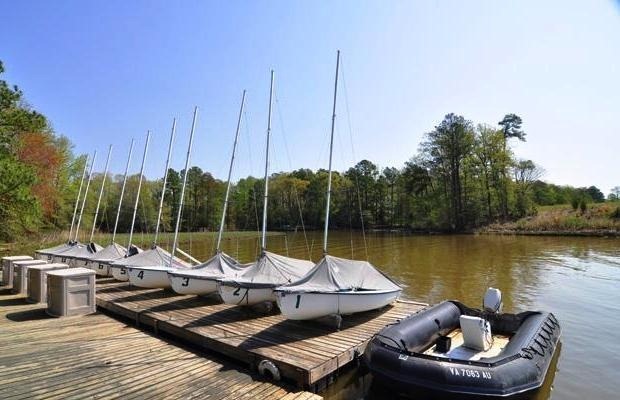 First Colony marina is proud to serve as host to the William & Mary Sailing Club. Club members contribute to the community through free sailing instruction and work days. For the schedule of student sailing regattas and other information about the team, click here. The Greater First Colony Association is tasked with maintaining all of the property and amenities owned by it. Twice a year the park is cleaned, planted, and mulched. Playground equipment is checked, repaired, and replaced. Last year (2009) the pool received needed mechanical upgrades and new chairs. The marina has been dredged and the bulkhead was replaced to assure the continued safety of it’s boating, river swimming, and fishing members. psst … I’m a Realtor! Thanks for stopping by my website. I am a Realtor & real estate consultant and would love to help you find a dream home and community in Williamsburg or sell your home in the area. From report below you can see that home prices for sold homes in the First Colony area ranged from $225k to $415k from August 2009- August 2010. 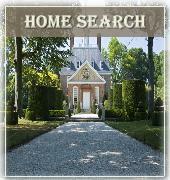 Home prices for currently listed homes ranged from $209k to $1 million plus. Waterfront homes on the James River tend to sell in the $900k + price range and can skew the prices drastically. A six month supply is considered a balanced and healthy market. At the present rate of sales First Colony has just over an eight month supply. That is bullish for rising prices. And with interest rates at or below 40 year lows, there is still room for this rally to run. Homes in this community vary widely in price. So an analysis compared to previous years is not always accurate.